Surya is born with the kind of genetic peculiarity of which cinematographic dreams are made: he doesn’t feel pain. Growing up watching martial arts movies and vintage Indian thrillers, he dreams of being a hero, starts training but faces a lot of disappointment. With the help of his childhood friend and a one-legged karateka, Surya decides to fight the neighbourhood gang -without forgetting to stay hydrated. Look no further: the missing link between Deadpool and Stephen Chow is Indian. Full of references, but that doesn’t affect its identity, The Man Who Feels No Pain is a singular, human and endearing superhero origin story. 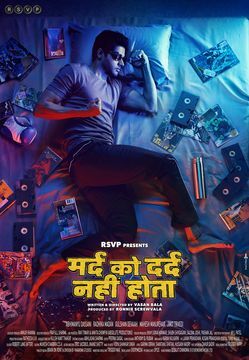 Vasan Bala plays with tonal and stylistic digressions, before connecting all the hero’s issues in a spectacular final act.